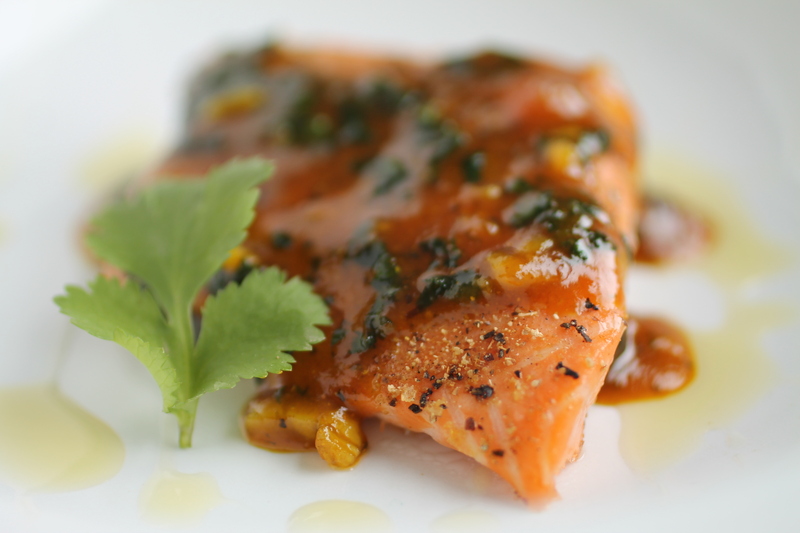 Orange Curried Cilantro Salmon, my kick-off recipe for The Sustainable Seafood Blog Project. Think about the last time you ate seafood. How did it taste? How was it cooked? If you’re like me, you can probably answer those questions fairly quickly. But could you tell me where the seafood came from? Was it farm-raised or wild caught? Sustainably harvested or picked up by a trawl — a large net that drags along the ocean floor? Those questions are much harder to answer, but they’re also the questions that we as consumers need to be asking. The world’s fisheries are in crisis, but the steady decline of the global seafood supply doesn’t make many front-page appearances. The near-extinction of bluefin tuna or the massive dolphin, turtle, and even bird casualties caused by trawling are easily masked by a restaurant menu or a sale at the supermarket. After about a year of blogging on Life as a Strawberry, I wanted to curate a group of bloggers committed to sustainable seafood; bloggers who, like me, wanted to use their platform to spread environmentally conscious ideas. The Sustainable Seafood Blog Project began in May 2013 to do just that. Our goal is to provide resources that make conversations about sustainable seafood more accessible and to develop tools that can help all of us – bloggers, businesses, and consumers — make more sustainable choices in our daily lives. By integrating information about sustainable seafood into regularly-scheduled recipe posts, we cut out some of the legwork that’s involved in making sustainable decisions. In our posts and on our website, we show you the ones who are doing it right — companies who label seafood, research its origins, and commit to using only the best products available. You’ll also find more information about the different problems our fisheries face and discover organizations that work to preserve our oceans. Join the conversation by asking your supermarket about their seafood sources, choosing restaurants and companies who are committed to sustainability, and making environmentally friendly food a priority whenever you shop. Together, we can make a real difference in our seafood system. To learn more about the crisis facing world fisheries and to keep up with SSBP happenings, visit our website. You also can join our email list, like us on Facebook, or follow us on Pinterest and Twitter (@seafoodblogproj). 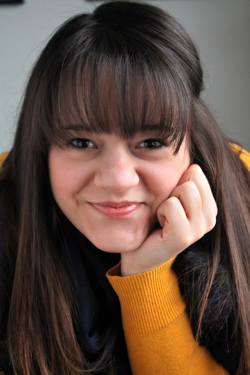 About the Author: Jessie Johnson is a food blogger, photographer, and graphic designer at Life As A Strawberry. She founded The Sustainable Seafood Blog Project to make conversations about sustainable seafood more commonplace in the food blog community, and is currently working on her Master’s degree with a focus on food studies and non-profit management. This entry was posted in Sustainability and tagged sustainable seafood by Cayenne Room. Bookmark the permalink.